Hi! Thanks for doing this interview with us. First could you introduce Boom and your products? We started Boom Library in 2010 mostly because we needed some more content for our own daily work. At that time we missed similar variations of the same, especially when working on games, but also to be more flexible for sound design in other media. We missed some raw recordings as well that are similar to things you would get from your own field recordings in order to be able to create unique sound effects. Most of the other vendors at that time applied more or less preprocessing that limits the usage possibility and the value over time. On the other hand we wanted to offer quite the opposite, basically the sounds we were thinking of when went out to record. That is where the whole “Construction Kit” vs. “Designed” collections come from. 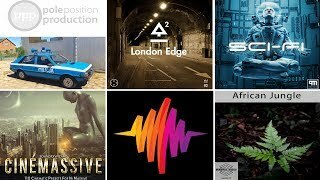 Boom is known for high quality, versatile and original sound effects libraries. Where did the decision to develop plugins come from? I am very glad our work is being perceived like that. We are constantly trying to improve all disciplines all the time. Even though we love working with good recordings, there are some limitations with that. Plug-ins just give us the chance to widen the possibilities. There are only a few plug-in creators that really come from the sound effects / post pro business, most are music oriented. Even though these plug-ins are super helpful and a main part of sound designers tools, I feel we can fill a little gap here. Of course we would love to see our plug-ins being used by musicians as well – that also happens with our recorded sound effect libraries – however we always start a concept considering our own needs as sound designers. 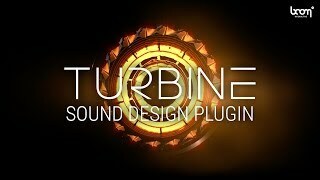 You have now released 2 plugins, Turbine and Enforcer, can you summarise what both of them are about? What are their respective main uses as well as greatest strengths? These two are in fact extremely different in all aspects. The Turbine simulates Turbofan and Turbojet engines plus some more but was never intended to be used for airplanes or devices using turbines only. We see it as a more flexible tool compared to the use of pre-recorded turbines with timing and movement backed into the recording. In our opinion it is a tool helpful for sci-fi engines and spaceships, robotic movements, servos of small and big machinery or even to create whooshes. The Enforcer on the other hand is a tool that should help on a task many of us do manually a lot I guess: adding clean punch without messing up the frequencies, especially in the low end. Of course there are some other specials to it, but in general it is a timesaver and that frees up time to be more creative and productive. 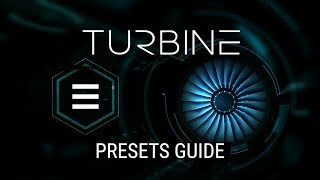 In Turbine, the presets are quite an important part of the design process, can you tell us more about how to navigate them and work with them? The presets should be seen as a starting point. If it is about airplanes, you can pick a presets that either is exactly the plane you need or most similar. Or of course use a totally different plane if it matches the wanted emotions / intensity better. So lets say you have a A-10 Thunderbolt (aka Warthog) in your pictures, navigate to Military, Fighter and load the A-10 Thunderbolt II preset. In the presets menu you will always find a description on the lower right including basic information about the device like max speed and hints concerning the sonic character plus some tips and tricks about the usage. There is more to the presets menu, but this would most likely be overkill for that interview. One thing however might be interesting: you can also only load the simulation parameters of a plane. That mostly includes the sonic behavior of a plane over distance, such as how tonal a fly by is. In reality that differs a lot, the A-10 Thunderbolt for example has a very distinctive howling sound when passing. You can apply that to other presets when loading the simulation only. On a practical perspective, you can play with Turbine’s settings within your DAW with the help of automations as well as with your mouse wheel. 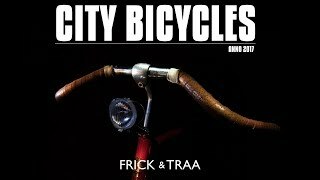 Is it possible to map them to a midi controller for more flexibility? We strongly recommend to use automation instead either the mouse or MIDI. Automation in current DAWs is 64-bit, the mouse resolution in DPI on the GUI is much lower, even worse with MIDI having only 127 steps. This lower resolution will result in tonal steps you can clearly hear. Under the hood for example the Thrust lever has 100.000 steps which you simply can not reproduce with the mouse or MIDI, but using automation you can. So even though it might be fun to use with MIDI, we do not offer direct MIDI integration by purpose. What however is possible with all DAWs I know is to map automation to MIDI controllers. You will still have these steps when using it, but after you record this data to automation and smooth out the 127 steps (ProTools for examples does that automatically) the sonic result during playback is once again step free. What about the UI design and the choices of parameters – how did you come up with them and decided that those features would best support design? Can you tell us about the sounds – where are they from and what lies behind the real time processing we hear when playing with the various parameters? I love to get this question and luckily I hear that a lot with mostly surprised reaction when the answer follows. This actually is exactly what we aimed for. There are no recordings, the whole installer download including the manual and Mac and PC installer is only 145 MB – no space for any good audio in that. There is a lot going on under the hood, including several FFT filters, generators, several on the spot calculated impulse responses and even three Lorenz attractors for more modulation deriving from the Chaos Theory. The Turbine is rather CPU heavy because a ton of information is getting processed and calculated on a sample accurate basis in realtime, for example the speed and position of the turbine in the simulator and similar things. Even though it is in fact a calculated audio output, the basis of the sound are real values of the corresponding real life turbine, such as how many stages does the engine have, how many blades per fan / compressor / turbine and so forth. 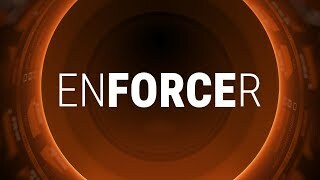 Could you give a few examples in which Enforcer is best put to use? The most important thing to know is that it only works on percussive material. The Enforcer is no subharmonic generator and also no replacement for such. It can not be used on sustained sounds to create low frequencies over time. It can be used on things where you need extremely fast (sample accurate) and clean material to support it, either by adding transients or low frequencies. Some examples for sound design are steps, body-drops, rifles either single or in full auto, explosions, door slams, trailer hits, car crashes, punches and so forth. I even added some short low end to a tiger roar on each rattle of the roar. In music it is helpful on all sort of percussions, for example adding thumb or kick to a bass drum or even replacing the sustain and tune it but keep the original transient. It works on snares, even high hats, on modern percussion and drums in all styles and even orchestral things, depending how obvious you mix it in it can be a subtle low end to widen the overall perceived frequency response or go full throttle and replace original content. Can you share more details on how Enforcer works – how is the sound generated/how does it manage transients vs tails? The most basic explanation is this: Enforcer is a kick drum generator which is triggered by the amplitude of an input signal. Obviously that is not the whole story, but definitely the easiest way to understand it. There is a synth with different waveforms, which are very carefully programmed and top notch. Especially for low frequencies it is very important to not have any sort of artifacts but a rather extremely clean and thus controllable sound. You can choose the length, the pitch envelope and the amplitude envelope, so basically again what you would do with a kick drum generator. Adding overtones based on time is possible as well to have a harsher sound for the transients or to add harmonics the deeper the sound goes to make it better translatable to smaller speakers. So that is is the sound generator. The detector is key to the whole thing. It has a high and a low threshold. Every time the input signal rises above the high threshold, Enforcers triggers, but it will only trigger a second time once the input signal goes below the lower threshold. There is also frequency dependent way to set the detector more freely and more precise (you can for example only trigger on a kick drum within a full drum kit loop using that). One thing that happens very quickly when adding bass to content is that you mess up the low frequencies, creating rumbling or phase issues. Enforcer offers two ways to help avoid that. One is a ducking, dependent on the time envelope of the created signal. So you can for example leave the transients of the original input through but duck after that by the gain you choose. The other option is the possibility to remove exactly the frequencies Enforcer produces from your input signal. You can set the intensity of that as well. You can even use both in combination, which helps a lot to embed Enforcer into diverse input signals and to clean up for even more punch and control. What motivated the choices behind the UI design? Do you recommend Enforcer as more of a processing and mixing plugin, or a mastering plugin? At first we intended it to be used on single tracks. However I tried it on busses or even the master as well with great success. I guess this mainly depends on the content and the goal. On the master or on busses it helps to remove some rumbling on a sum, however it might be harder to find the right trigger spots, especially in dense mixes. On single tracks you have more control, but the ducking and filter only affect the selected channel. But since you can use the side chain to trigger Enforcer, you can also put it on a bus or master and trigger it with a different track that probably contains all the major hits you need to support. So this is really up to the user. Is there any way to feed your own oscillator into Enforcer in order to create completely custom sounds, with the help of the Enforcer interface and features? In both Turbine and Enforcer, is it possible to save your own presets? 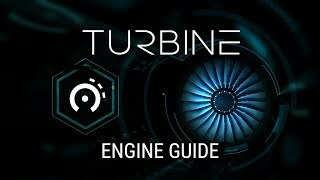 In Turbine it is not possible for several reasons. But all parameters get saved within the host session. You can import that track to another session or create a host dependent preset, something that all hosts I know can do. In Enforcer this is possible. There is a context menu using right click on the presets dropdown menu. You can save a preset file on your computer and exchange with others who can load the file using the same context menu. Do you have any pro tips, advice or interesting sound design practices you can recommend for both Turbine and Enforcer? Two little hints for the Turbine: rising the “Thrust” too quickly will always sound like vacuum cleaners. Mass / size needs some time to get to speed, an average start-up of an airplane turbofan engine takes about 40 seconds to only 60% thrust. The second thing is about the “Simulation”. On the left you will find the speed you are currently moving at (“VEL”). You can do whatever you want, but only expect realistic outcomes at reasonable speeds. Other than that: there are tons of useful information in the descriptions within the presets tab. Enforcer can be very aggressive or extremely subtle. On footsteps for example you can only add a little bit of weight, mixing it in by only 10% or even less. Using it via side chain on a bus give you the freedom to avoid the same processing of the original track on Enforcer (then of course use 100% Mix). Check the output to avoid clipping unless you really want it to clip. Also use the A/B comparison to quickly save the current settings and go on using the other slot from there, so basically use it as quick save instead for comparison only. For both reading the manual will be very helpful including some usage tips plus we try to get interesting tutorials with more tips and tricks and use cases on our Youtube channel. Visit the Turbine and Enforcer Youtube channels to explore the tutorials. Enforcer and Turbine could certainly prove to be a very useful tools in interactive medium such as games, processing sounds at run time, any chance we’ll see that happen? We are diving into this, yes. But this will not be available very soon. Especially the Turbine is very CPU heavy, using it in runtime will necessarily mean that we have to lower the internal processing features quite a bit and we will need a lot of time to figure out how to do this without bad / not believable sounding results and if this is possible at all with reasonable results or if we can find workarounds by probably using pre-rendered (sampled) parts. What is next? Are there any other products we should be looking out for from Boom in the near future? Absolutely! 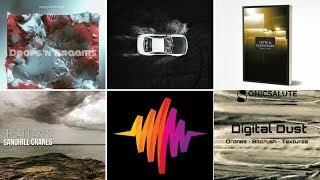 We are currently working on another library for the “Noisy Places” series plus something that we already started last year with some epic fire and water stuff ;-) Follow our newsletter to get a small set of monthly free sound effects, our Facebook page or on Twitter to stay up to date. A big thanks to Axel Rohrbach for this in-depth interview!